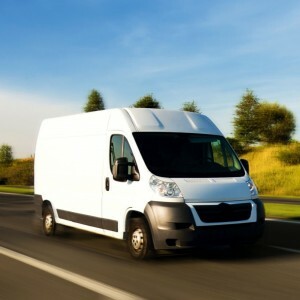 Shortages in commercial vehicle supply could see some businesses struggle to fulfil their delivery requirements this Christmas, Lex Autolease have warned. The UK e-commerce market is worth an estimated £78billion, with £851million spent to deliver goods last year. Lex Autolease have warned that, with such a competitive market for commercial vehicles in advance of the festive period, supply is struggling to satisfy demand. The fleet management company saw a 266% increase in LCV demand between Q3 and Q4 last year. Around 70% of the uplift was attributed to courier traffic, with the remainder accounting for seasonal requirements from other businesses. Marcus Puddy, Director and Head of Commercial Vehicles at Lex Autolease, said: “Q4 is a notoriously busy period for commercial vehicles with couriers at full capacity delivering goods from a growing e-commerce sector. “As large retailers often start their Christmas shopping preparations immediately after Boxing Day, short term rental lots will be largely empty by November. “With the economic recovery still fragile, it is vital that businesses of all sizes put themselves in the best position to capitalise on any pre-Christmas spike in sales.